Ah, Donkhard - the good ol' days. Boy I miss playing poker and kickin' it with some of you guys. Here's a picture to lead us down memory lane. Ah yes.... the ol' Nickism lol! 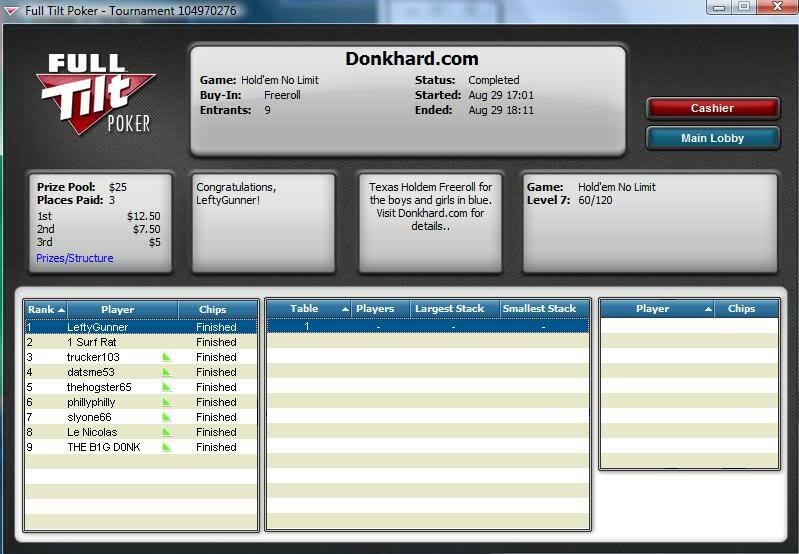 Just had a whim and clicked on an old bookmark to see Donkhard again. I log in every now and then... glad to see you still do the same Shane. Hey ya'll, I hope everyone's doing great. I don't see a pic on the thread, what is it? NicolasWSOP wrote: Hey ya'll, I hope everyone's doing great. I don't see a pic on the thread, what is it? Hey Nic! How's it going? I think a lot of the old pics are missing from the threads because they were likely "hosted" and something happened to the host site.. so they no longer are visible. Could also be that Shane just put in the smiley as the pic lol.